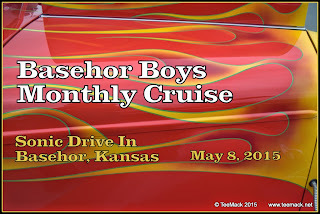 The Basehor Boys Monthly Cruise Night was held at Sonic Drive In, in Basehor, Kansas on May 8 2015. Approximately 40 cars and trucks attended the monthly cruise. 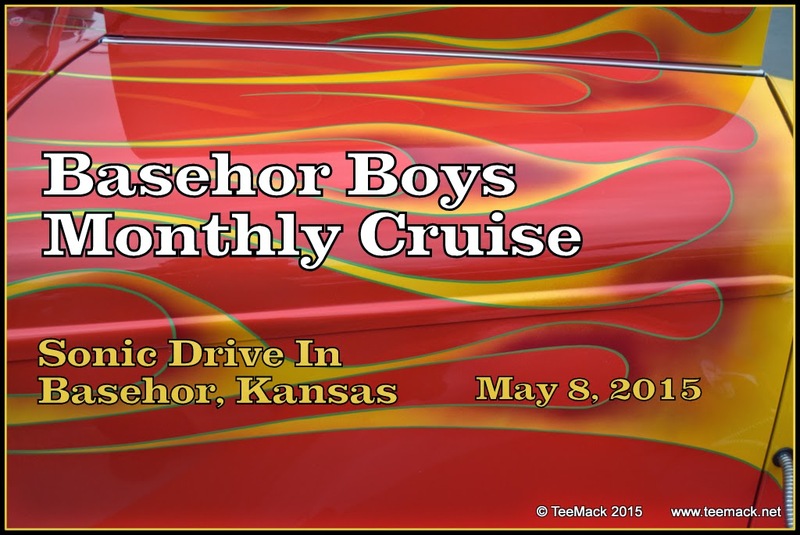 The Monthly cruise runs from April to October. Basehor, Kansas is located just six miles west of the Kansas Speedway on Highway 24/40. The weather was cloudy with temperatures in the 60's. Click here to see photos of the event.